We are exposed every day to environmental factors and standardized diets which can challenge our immune system. The presence and maintenance of healthy gut flora which lives symbiotically in all of our intestines helps promote a stronger immune system while also combating a large range of digestive issues. 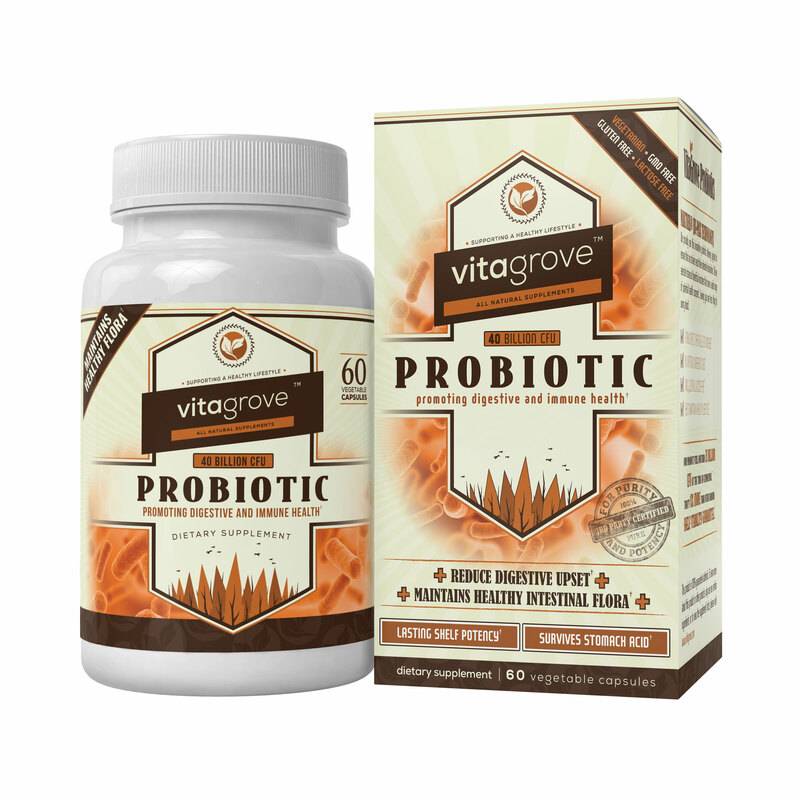 Supplementing VitaGrove Probiotics gives you the support you need for a healthy microbiome. Our unique formulation paralleled with the MAKTrek™ BI-PASS delivery system allows our probiotic capsules to remain protected during transit, delivering the live cultures to their targeted destination more optimally than other probiotics. Although there is much to be discovered on overall gut health and the human microbiome, what we do know is that Probiotic supplementation is very effective against treating all of these symptoms and staying protected so that you're able to live with one less thing to worry about. 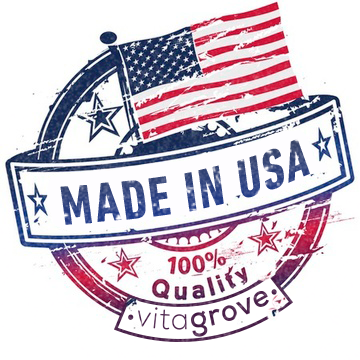 VitaGrove makes sure to take into account current and leading research, which changes very often, into the manufacturing of our products. VitaGrove uses a formulation that's backed by current scientific research, formulated with clinical strains chosen to construct a population that's optimized for prevention and recovery of gastrointestinal and immune symptoms. Diet, environment and medications are just some of the factors that influence your overall health, and once your gut flora is disturbed, it leads to many preventable symptoms pertaining to the digestive tract including bloating, gas build up, bowel irregularity and sensitivity toward food that otherwise wouldn't bother you. Current research suggests implications of how lacking an adequate gut microbiome can also lead to decreasing your immune system by killing the healthy bacteria that would normally function to ward off pathogens. What's more important is how not having an optimal gut composition may negatively impact your mood, energy and even food cravings. Most commonly used “good” bacteria, helps break down food in the intestine to form several byproducts which kill off “bad” bacteria, promoting a better overall digestion and metabolism. Used in combination with conventional therapies to treat ulcerative colitis. Has been shown to aid in boosting immune health, easing anxiety and an overall powerful probiotic essential. It’s one of the most versatile and hard working bacteria that reside in our gut. Also helps to fight back against lactose intolerance. Helps maintain intestinal permeability by suppressing the growth of gas producing “bad” bacteria. One of the most effective bacteria at keeping intestinal lining in tact. Also shown to help patients suffering from IBS. Associated with both boosting immunity and energy levels, this strain is even more powerful in that it has shown to help chronic fatigue syndrome. Also used a therapeutic approach to diarrhea. 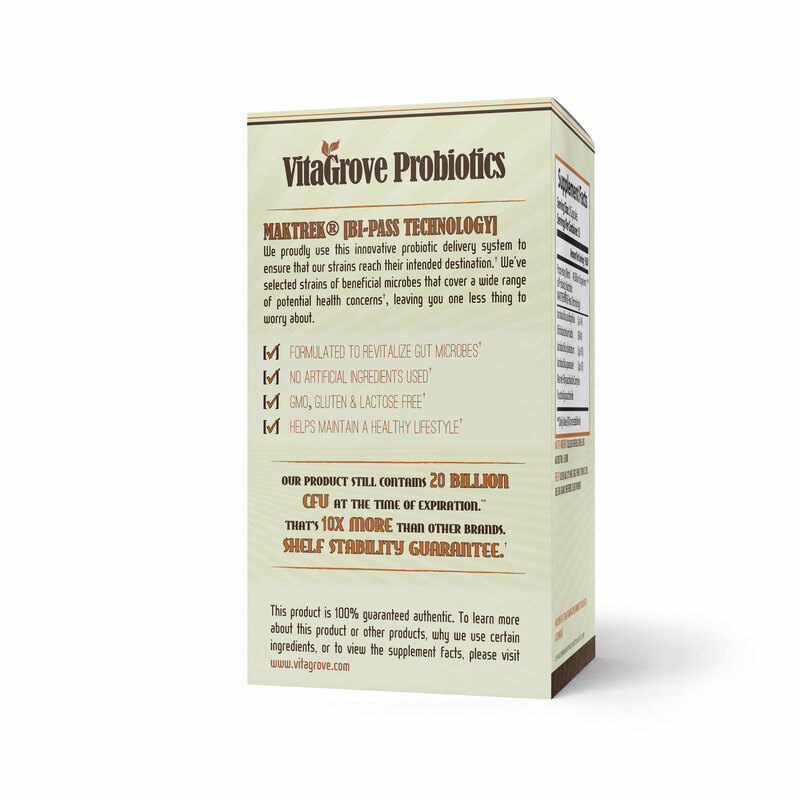 Each VitaGrove Probiotic capsule contains a blend of 4 intricately chosen strains and over 40 billion live microorganisms. What's crucial to ensure delivery and capsule stability is also the fructooligosaccharides which allows these microbes to feed, acting as a microbial fertilizer for the bacteria in your colon, ensuring that each organism has the nutrients it needs to populate and provide you with a healthy, stable intestinal environment. This product is made in the USA and adheres to the standards, regulations and quality of the United States and its applicable laws. Many products are produced outside of the United States, which outsource certain ingredients that may be on the banned substance list due to the health risks they pose. We believe, and it is the main goal and concept of the brand to provide the purest form of supplementation on the market. 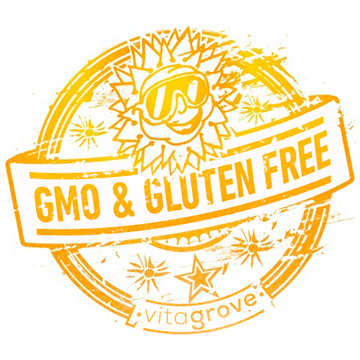 Our products are common allergy free unless otherwise stated, contain no GMO ingredients, are gluten and lactose free and are certified vegetarian. We pride ourselves in supplying optimal supplements that are true to these claims because it’s challenging, and we’re willing to take on these challenges. All of our products undergo extensive specialized ISO/IEC 17025 third party testing to verify the purity and potency before being released for consumption. 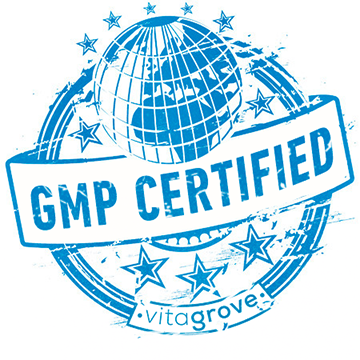 VitaGrove also complies with strict cGMP standards. We want you to rest assured that from the harvesting of our raw materials to the quality control of our laboratories and storage facilities, we maintain one of the most comprehensive quality assurance programs in the industry. 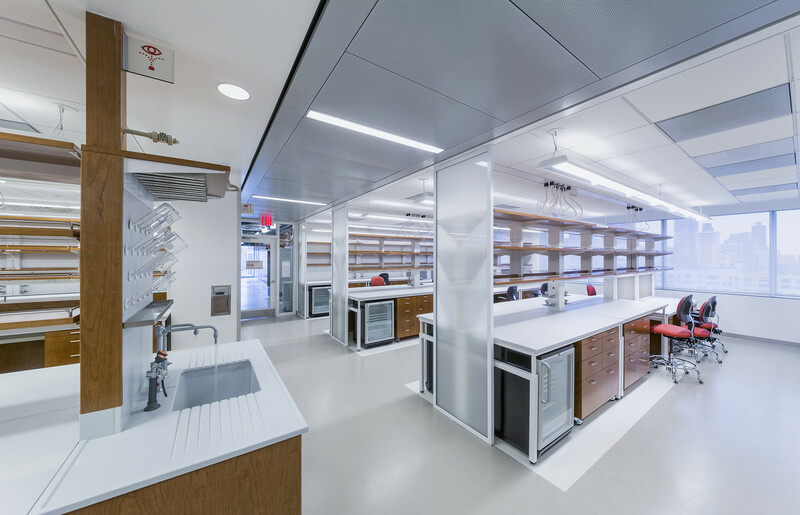 Our manufacturing process includes a state of the art facility with biochemists who stay up to date with formulation and ingredient efficacy, ensuring that our products do what they're intended to and are safe to use. Before we sell each product, we screen it for potential hazards or contamination that may have happened during and after production, nothing is released unless it meets particular criteria. At VitaGrove, we don't just see you as a customer and we go above and beyond to ensure our products are safe for consumption as your health is our primary concern. VitaGrove is a natural supplement company committed to helping people live longer, healthier lives. In addition to creating the finest quality natural supplements, we have established a world-class customer service team that provides personal, one-to-one support to our customers. Whether you’re looking for products to help with weight management, heart health, energy, immune system support or a variety of other important health issues, look to VitaGrove to support you every step of the way.